In PLC4X we are using a tool called JQAssistant for enforcing quality assurance rules. A set of scanners that analyse a project and stores the gathered information in for of linked graphs in a Neo4j database. These rules can produce either reports and tables or they are used to enforce rules. If a pre-defined rule is violated the failed checks can be marked as warning or error that breaks the build. In contrast to using the maven-enforcer-plugin doing cross-domain checks is really simple as all information is available in one big graph. These rules that are automatically checked during the build are defined in src/jjqassistant. If defined in a reactor project, the rules apply to all modules of that (sub-)reactor. So if they are defined in the root module of the project, it applies to all modules. The scan and analysis is automatically performed during a normal Maven build. In order to do ad-hoc queries against the project or develop new rules, the Web-UI is very helpful. This will start a Neo4j server with web console. 2018-04-05 19:11:14.369+0200 INFO  [o.n.s.CommunityNeoServer] No SSL certificate found, generating a self-signed certificate.. So when visiting the anounced url with a browser, you can use the pretty useful neo4j web console. 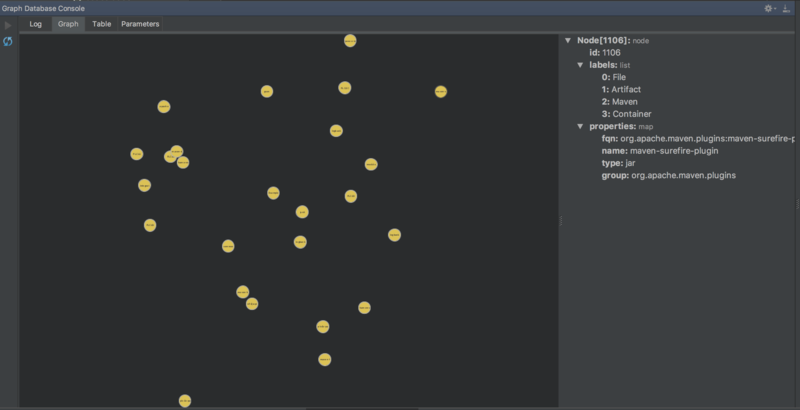 IntelliJ comes with some interesting Neo4J support. Unfortunately this only supports Neo4j 3. Unfortunately the process of enabling this toolset is a little less comfortable than the Web-UI version. Even if JQAssistant uses Neo4j 2 per default, we can force it to use Neo4j 3 by providing an additional commandline parameter. JQAssistant uses Neo4j 3 and the resulting data directory is then in Neo4j 3 format. 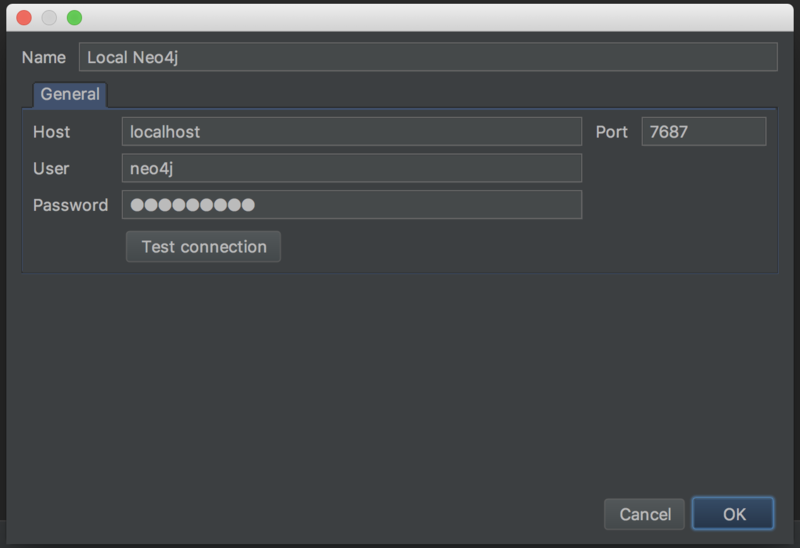 As soon as the server is started, we can connect from the IntelliJ plugin. Note: The connection settings also contain a username and a password. It appears that this can simply be left empty of can contain random values. 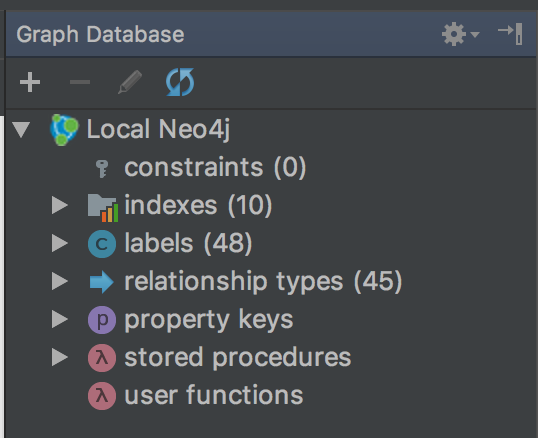 After creating the connection, the Graph Neo4j view should list the new connection.